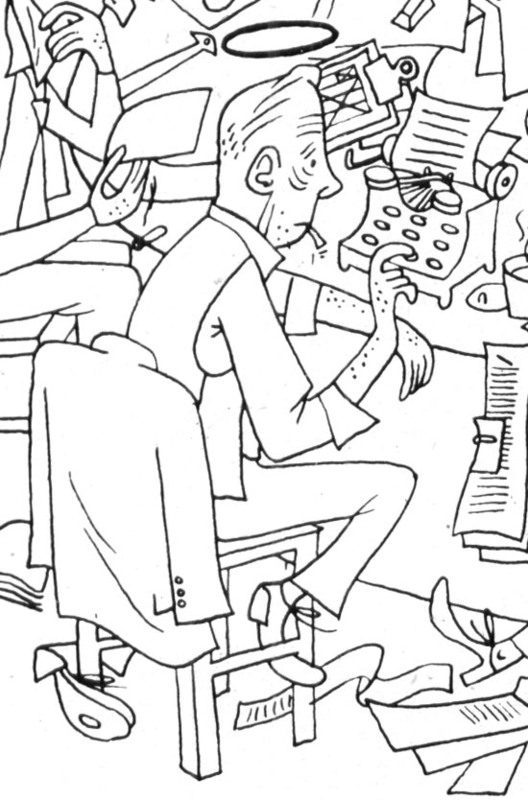 Today's Inspiration: Cartoonists vs. 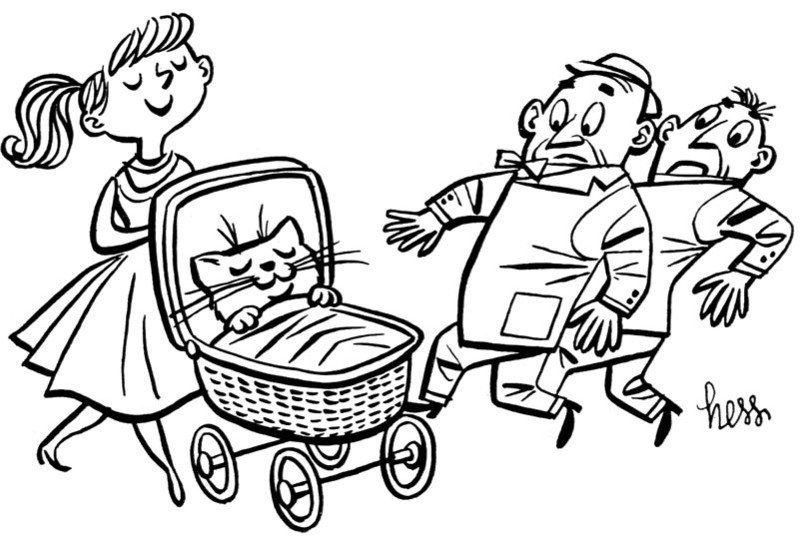 Animators: "Keeps things exciting when artists try to outdo each other." 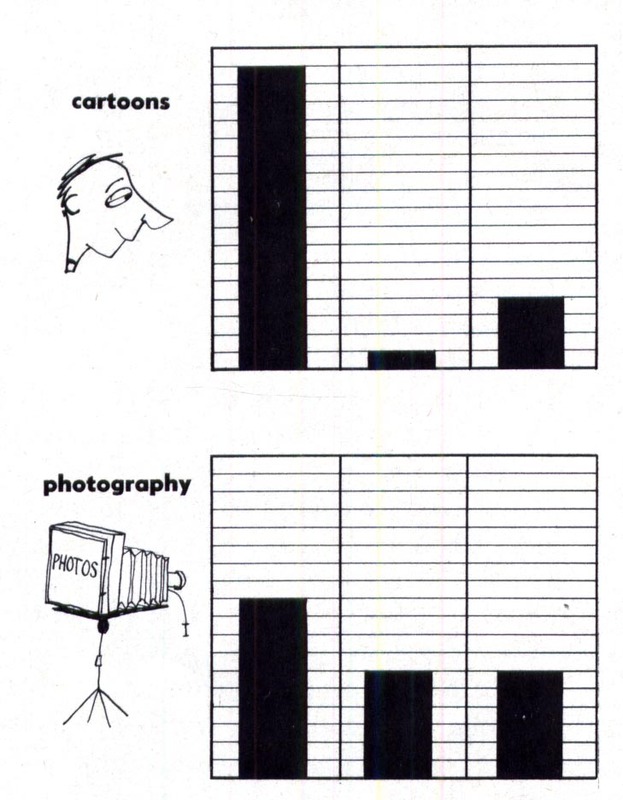 Cartoonists vs. Animators: "Keeps things exciting when artists try to outdo each other." 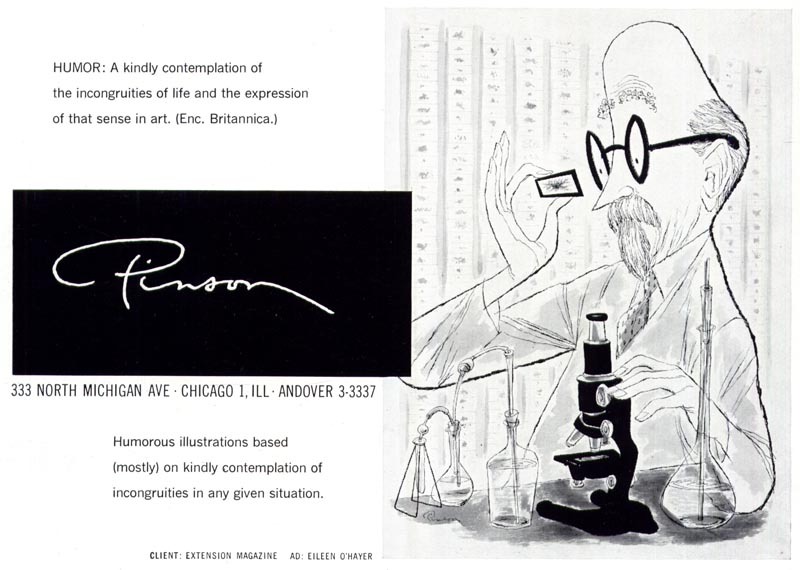 Here's a promo piece by Chicago advertising cartoonist Paul Pinson. 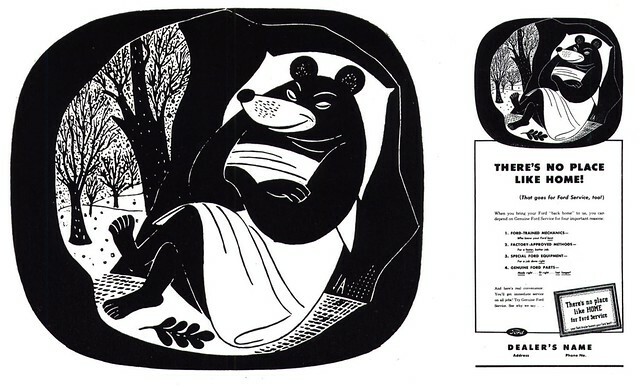 It appeared in the 1947 NY Art Directors Annual. 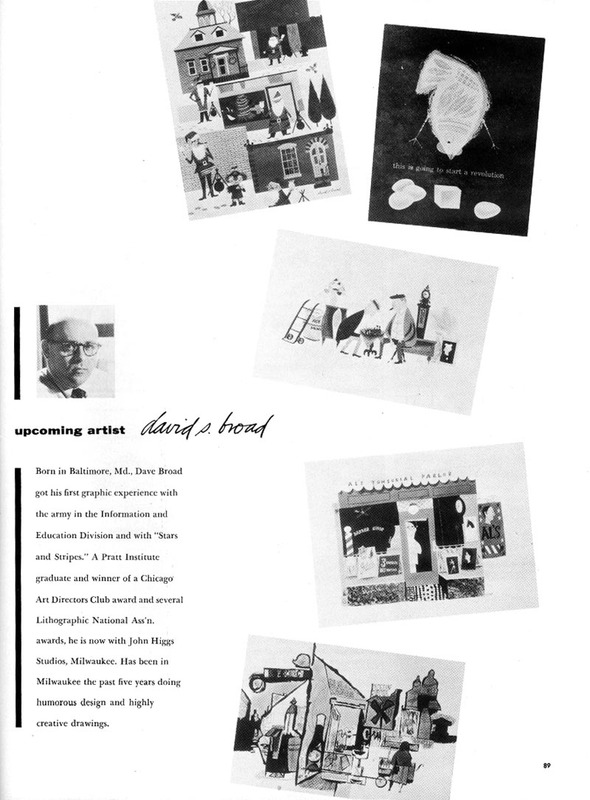 Here's Pinson's ad from the 1952 Annual. His style changed quite dramatically in the space of five years, didn't it? You would hardly guess this was done by the same artist. Pinson has effectively adapted to what was then the very modern style of the times. What could have triggered such a radical change in his work? 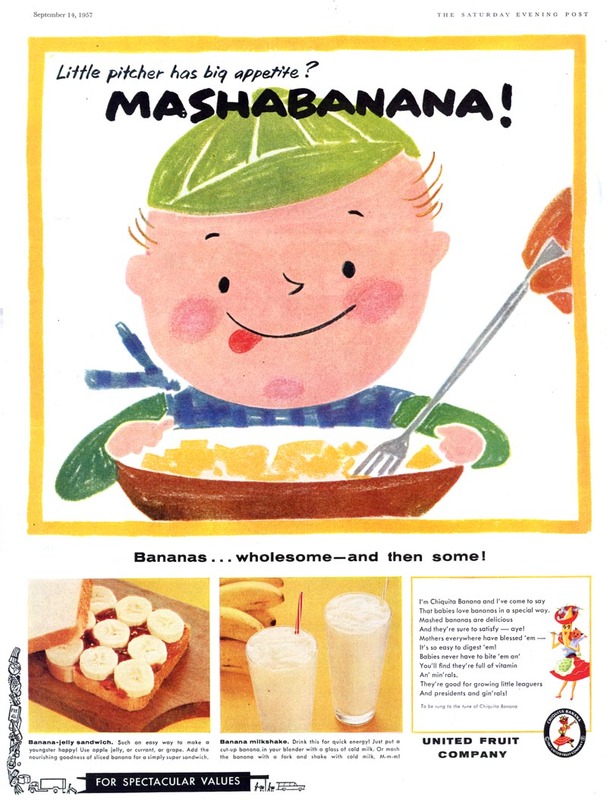 In the last post we looked at how television - and the arrival of animators using simpler, modern styles - changed the look of cartoon art in print advertising during the 1950s. 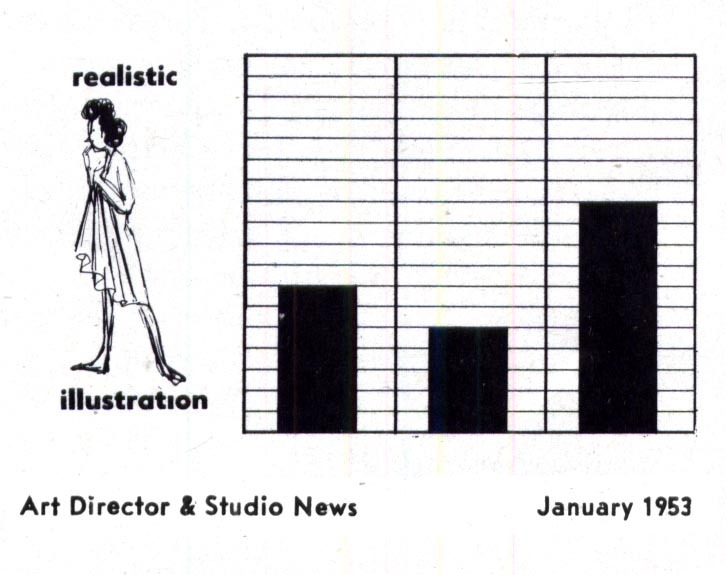 But wait: many cartoonists were already producing clean, simple, modern and stylized cartoons for print years before most people ever had access to a television set. Jan Balet's work, for instance, began appearing around the mid-1940's. Roy Doty was just a couple of years behind him. Harry Devlin, already well established by the mid-40s as Collier's magazine's lead editorial cartoonist. 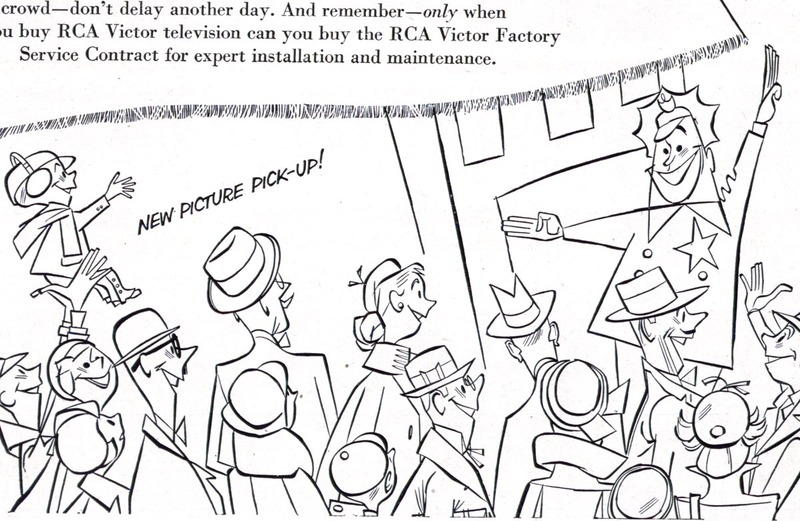 Here's another prominent 40's cartoonist, Harry Diamond, in an ad from 1946. ... and of course, Lowell Hess. That's just to name a few of my favourites. 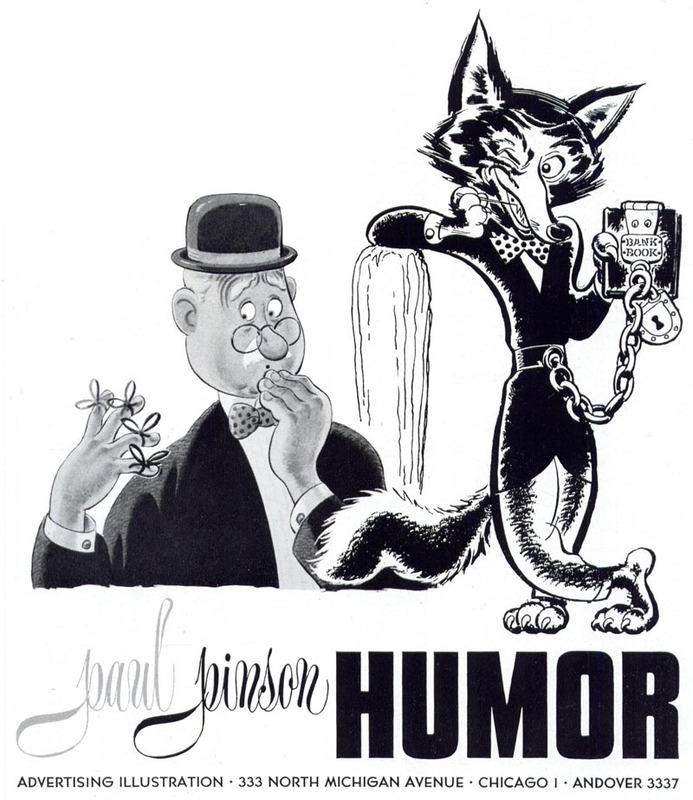 All of these cartoonists' work was appearing regularly in magazines like the Saturday Evening Post and Collier's, Ladies Home Journal, Good Housekeeping, Life and Look, and many, many others. The prominence of nation wide exposure in print publications during that time simply cannot be overstated. In the years before television sets became a standard feature in America's living rooms, print was where the public got nearly all its visual popular culture. 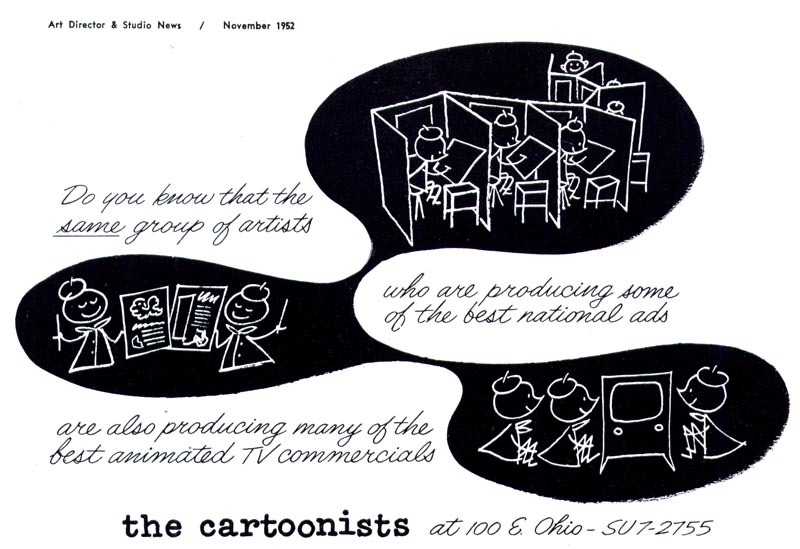 Millions upon millions of people saw the work of these cartoonists... and no doubt so did the animators who would be working on tv commercials in a few years time. 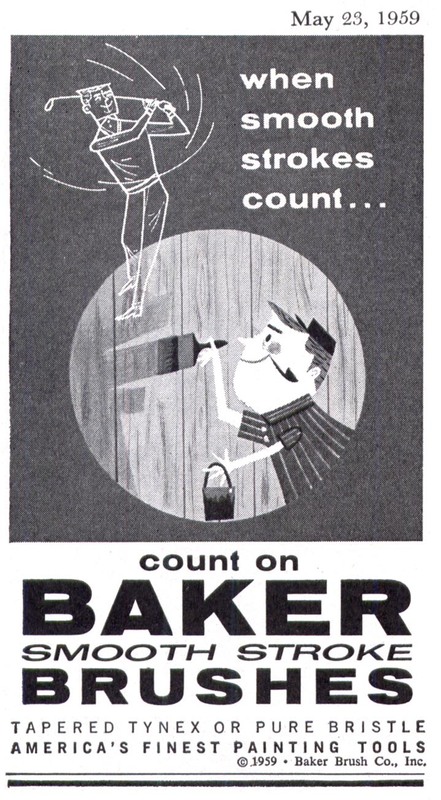 I suspect many of the cartoonists who were working on national print ad campaigns during the '40s were influencing the animators who would, in turn, influenced them in the '50s. 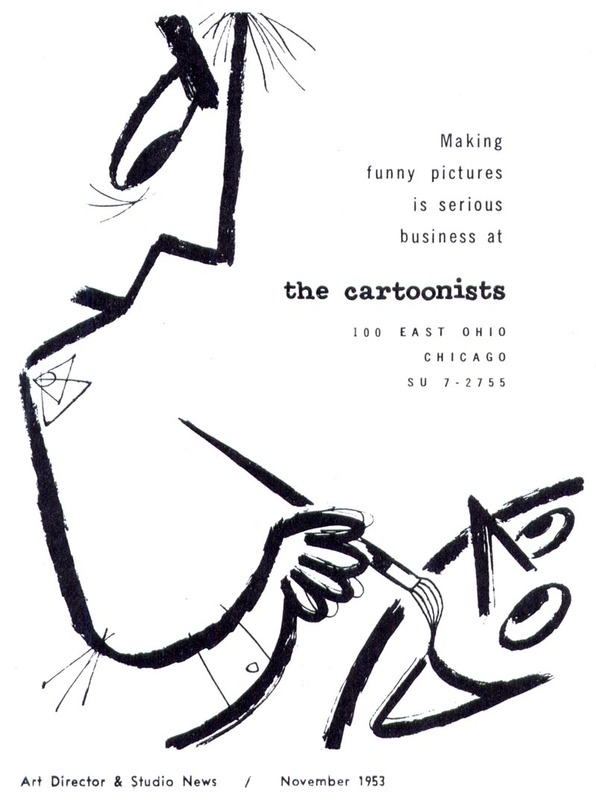 There was nothing funny about the business of making cartoons for advertising... it was a serious business. 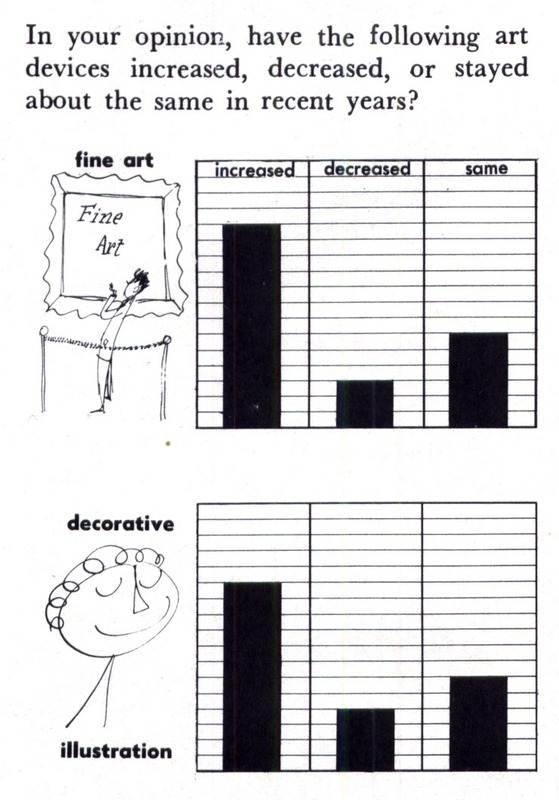 A survey conducted among the members of the New York Art Directors Club and published in Art Director & Studio News in 1953 indicated that, of all types of art being purchased by ADs in '53, none showed a larger increase than cartoon art. ... or the names are of amazingly talented artists I've never heard of. Right at the top of the page is a photo of a fellow named John Whitaker of Memphis, Tennessee. Just look at that artwork hanging beside Whitaker's head. 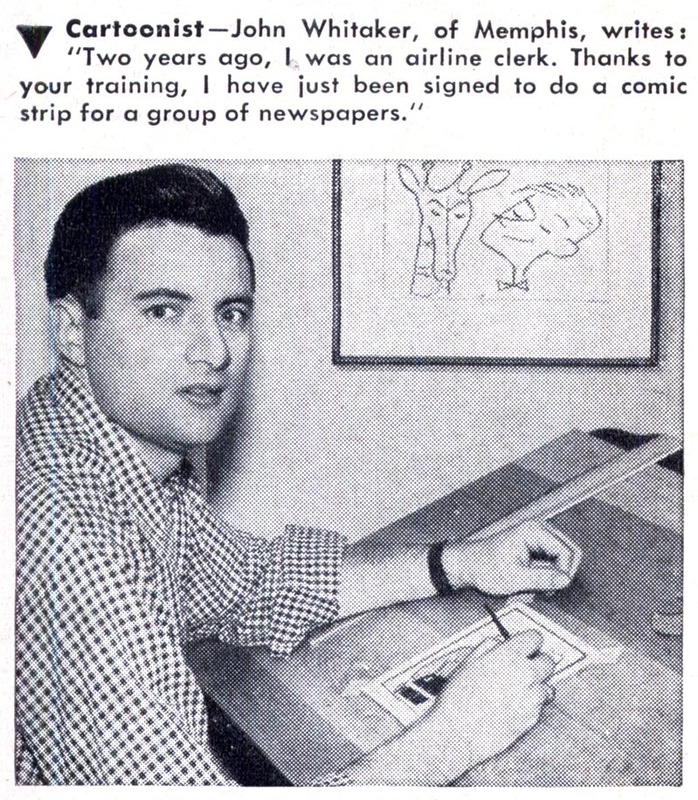 Whitaker may have gone into syndicated cartooning but just think of who-knows-how-many others like Whitaker - artists who worked mostly without name recognition and found opportunities to create cartoon art for advertising and television animation. Artists like Harold Fisher, who placed third in the first annual Cincinatti Art Director's show with the piece below. 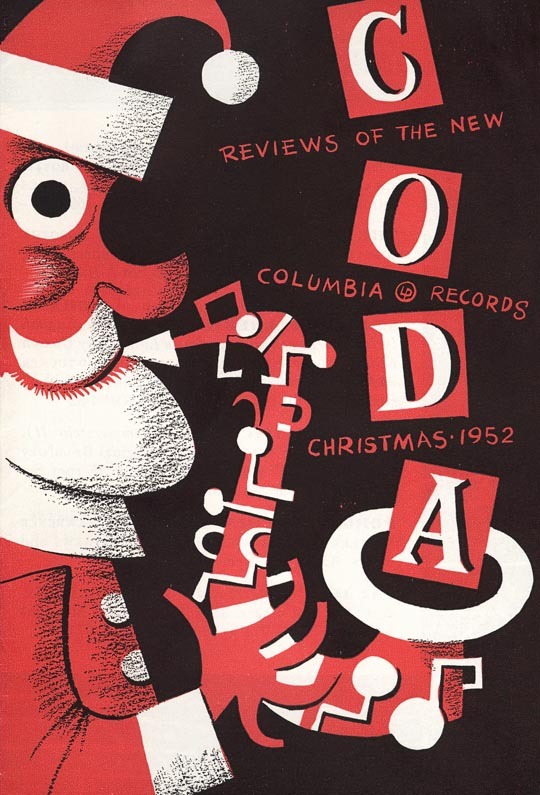 Or my friend David Broad, who was featured in Art Director & Studio News. 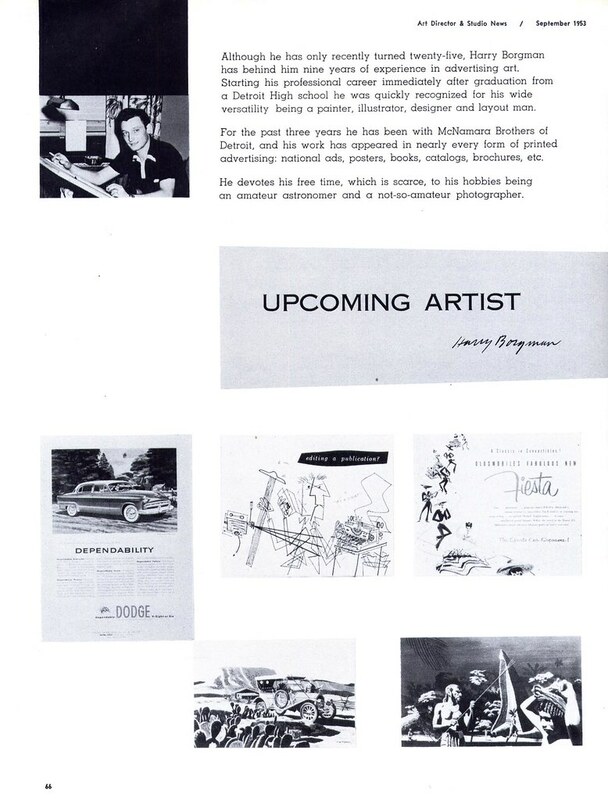 during the '50s as an 'Upcoming Artist'. 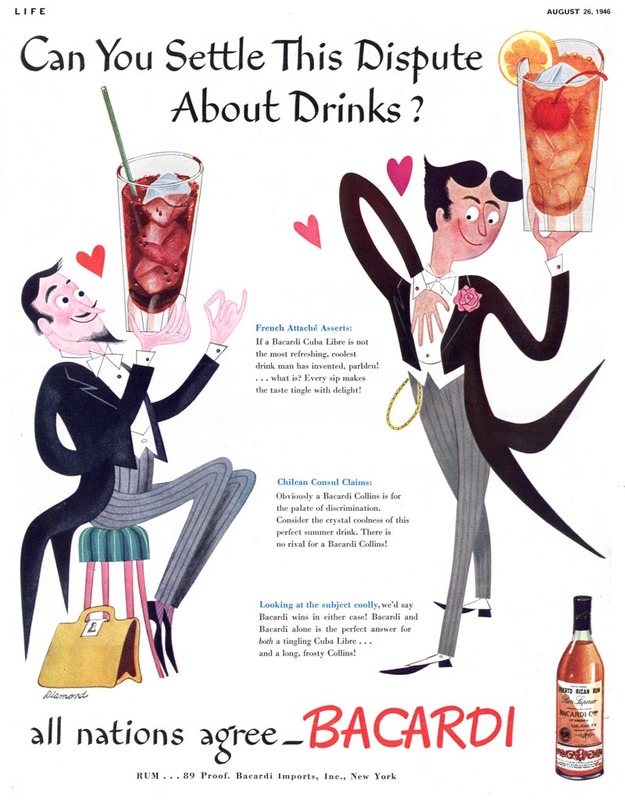 Or this guy, whose signature of just the initial "S."... but wow, what a fabulous '50s style! 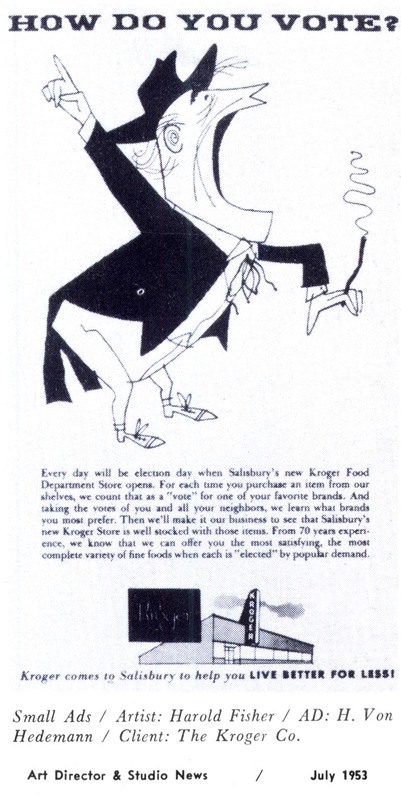 Here are a few more ads illustrated by anonymous cartoonists. We'll probably never find out who did these but aren't they wonderful! Following up on our correspondence from the previous post, Harry added some additional insight. 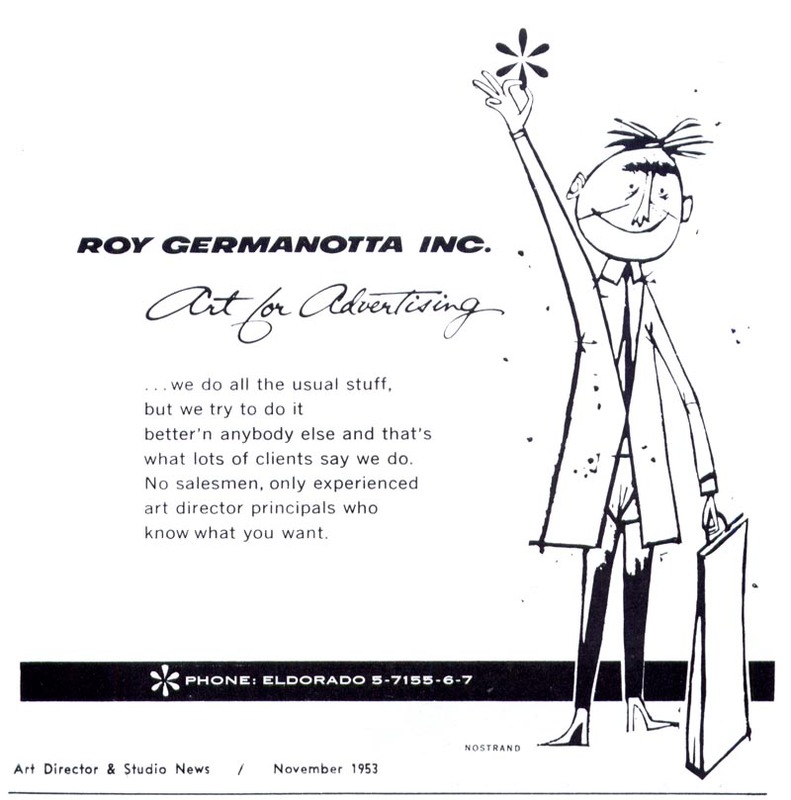 Harry, who did his share of cartoon ilustrations for Detroit art studio, McNamara Bros. wrote, "I don't recall seeing a TV set until about 1952. They had a small one at Grey Garfield Lang, where I worked at that time. 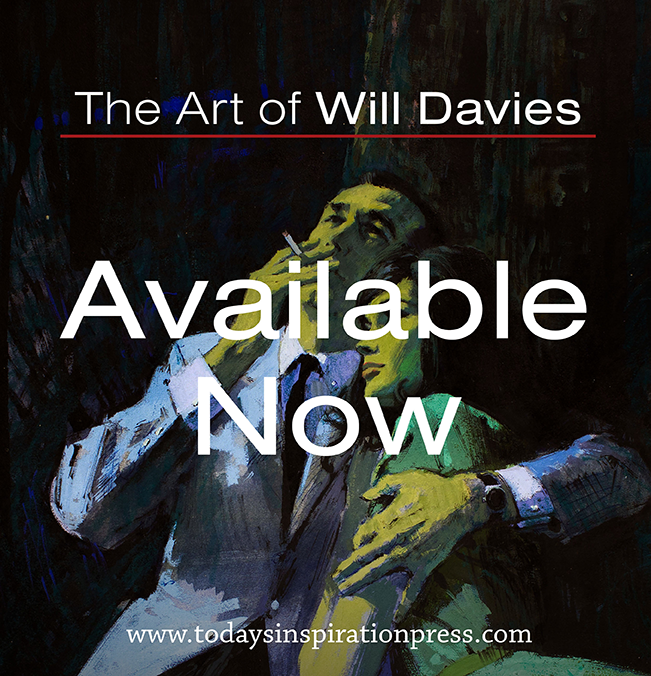 Everyone probably was influenced by the great stuff that Doty, Balet and Flora were doing in print." "When TV animation came along, other artists just developed everything a bit further and even simplified their styles more to work better for TV which was all black and white at that time. 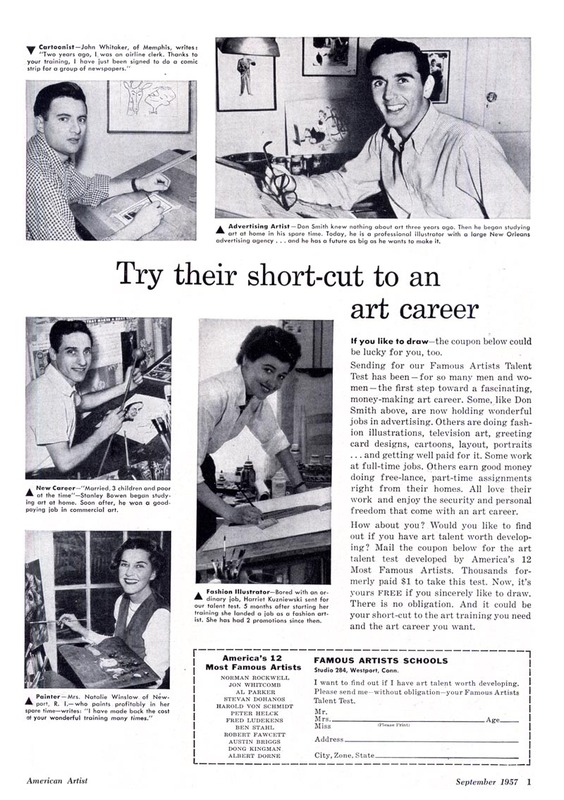 The results certainly influenced print advertising artists." "It's great that this sort of thing happens, or I should say happened. Keeps things exciting when artists try to outdo each other." Mashabanana!!!!!!! ))))) Thank you so much for post Leif!!!!! Not the only artist who was equally inspired if you get my drift...! Hi, Leif. I posted this on the Flora FB page. 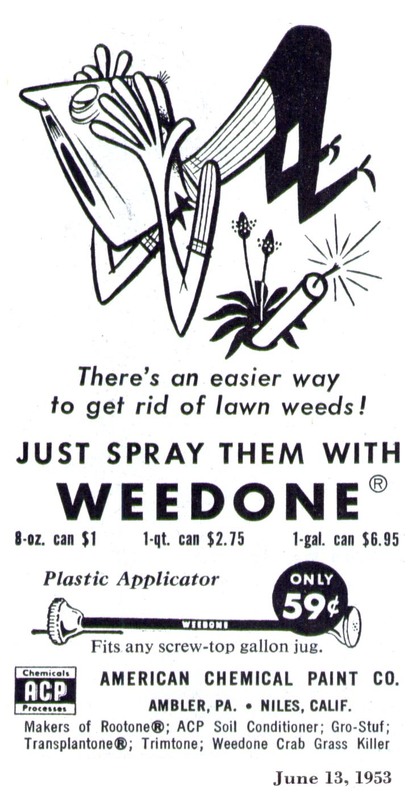 We rarely refer to Flora as a "cartoonist," but we don't consider the label demeaning. His work is "cartoonish," which we readily point out, but on a commercial level Flora generally considered himself an illustrator. Not to argue semantics, tho. Thanks for keeping Flora's images in circulation. Well I'll be damned - Pinson blatantly swiped from Ward! 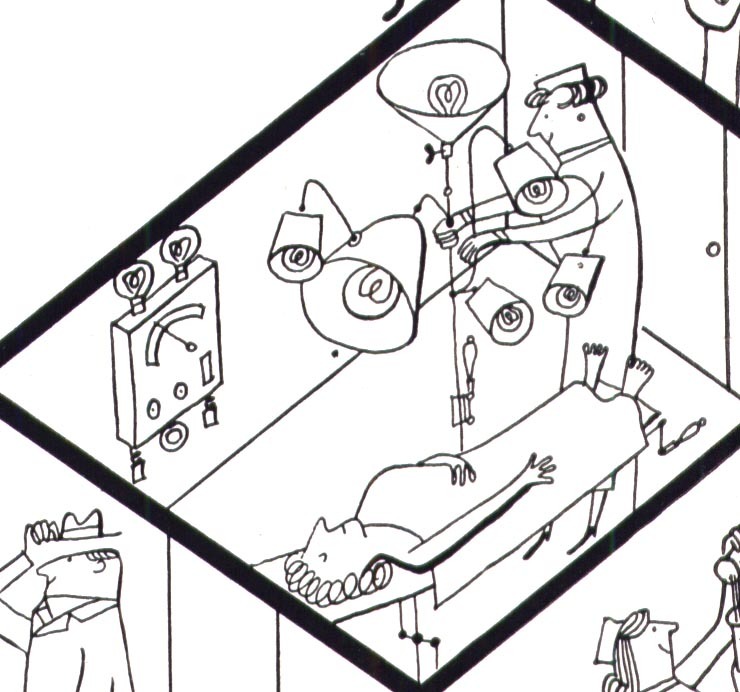 I wonder what he was thinking... he must have known ward was going to see this - it was prominently displayed in the NY AD annual, for goodness sake! most excellent post! thanks so much!